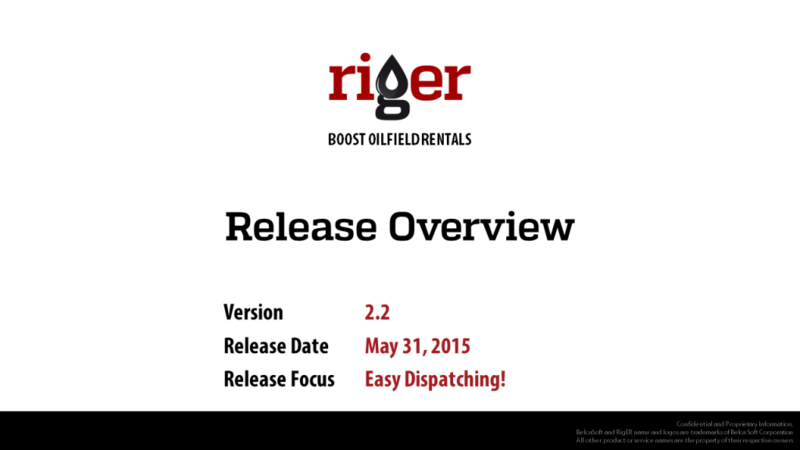 We are pleased to introduce RigER Version 2.2 – Oilfield Dispatching. Our product becomes better and better each day. 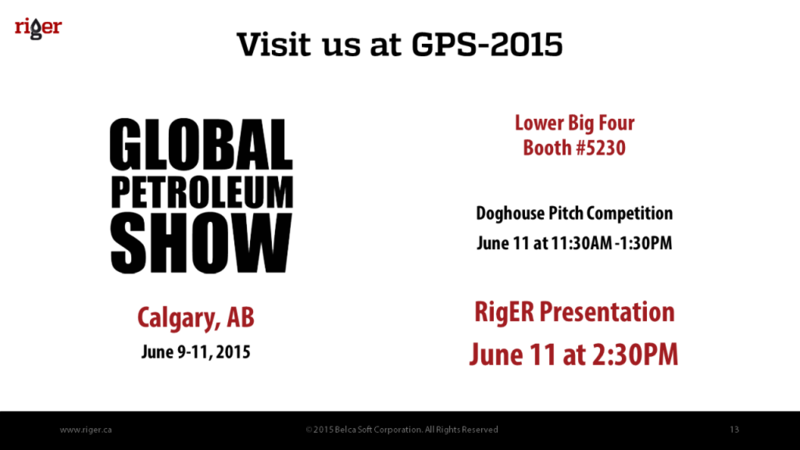 This new release is focusing on dispatching of oilfield service and rentals. 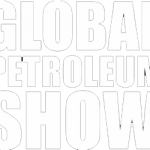 Dispatching oilfield 24/7 is very stressful and challenging job. 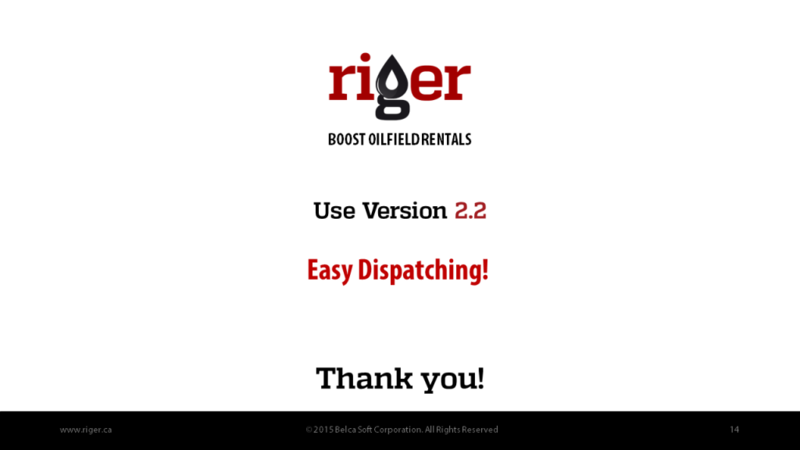 RigER Version 2.2 makes oilfield dispatching simple and convenient. Release Date: May 31, 2015. Release Focus: Easy Dispatching! We invested our time and energy to present dispatching process at visual format. 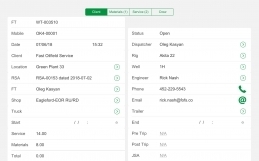 Now Dispatcher can have better control and easy change job and equipment schedule. 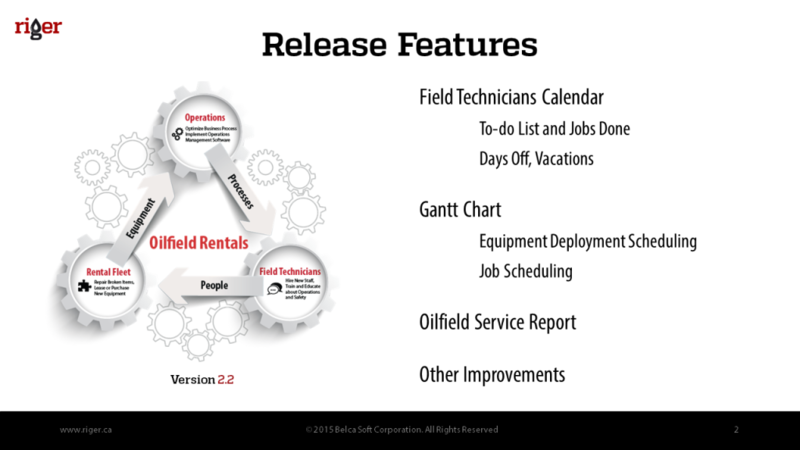 The Field Technicians Calendar shows and availability of your oilfield workforce. Jobs schedule based on Rig Up and Rig Out Delivery Tickets assigned to particular field technician. Dispatcher can track day-offs and vacations as well. 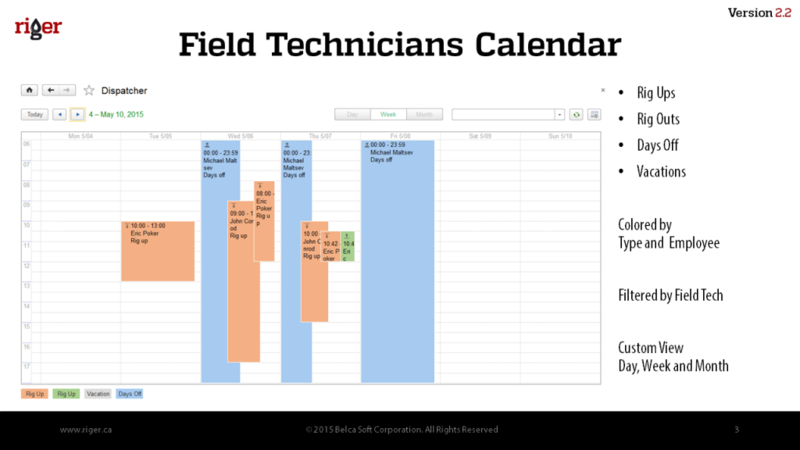 The Field Technicians Calendar can be filtered by Field Technician with day, week and month view. 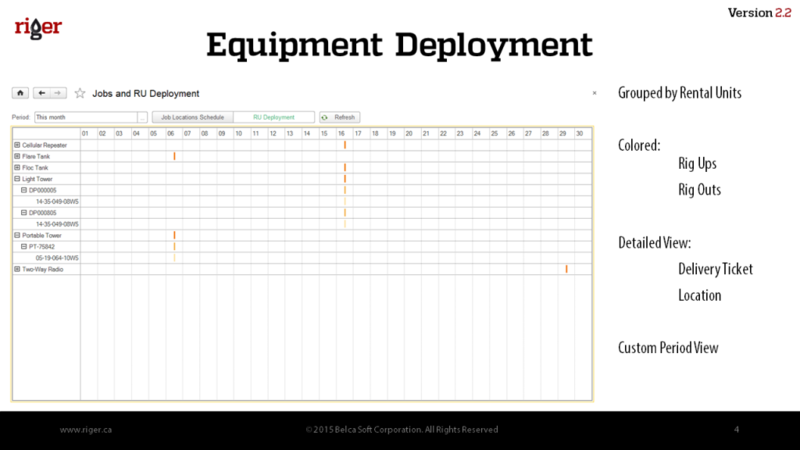 Equipment Deployment Gantt Chart shows scheduled dates from Rental Agreement, so dispatcher can see when particular rental unit will be available. 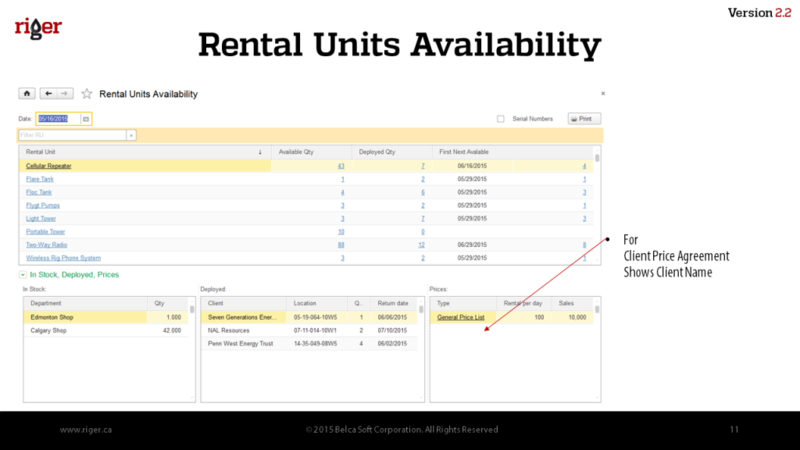 Deployed Rentals Units are detailed by delivery ticket and location. 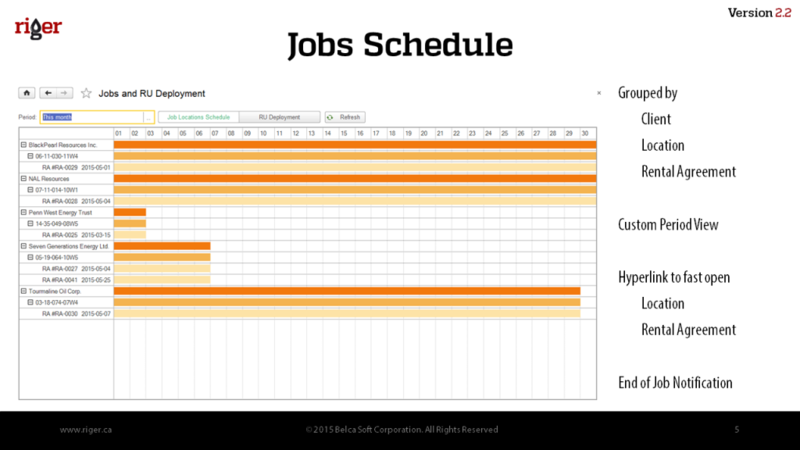 Job Schedule Gantt Chart shows current and scheduled oilfield rentals and services by client, rental agreement and location. We added hyperlinks to fast open client info, location history and rental agreement. Next development of this form will be end of job notification by email or screen pop-up notification. 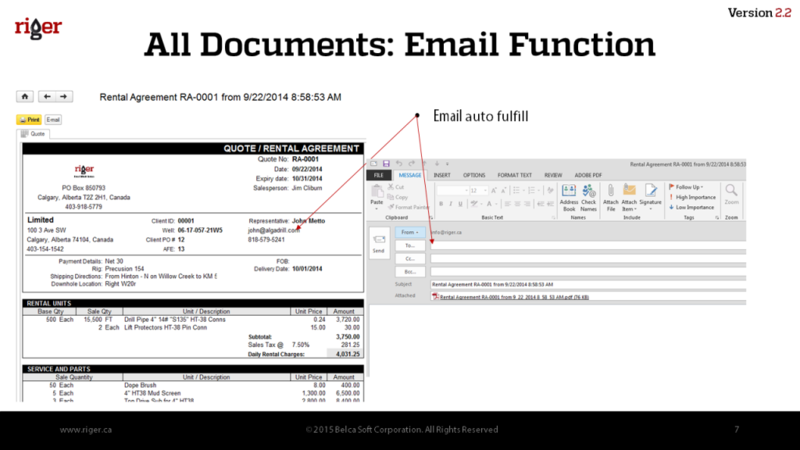 Oilfield Service Report was modified to have 2 options: full report and quantity only. 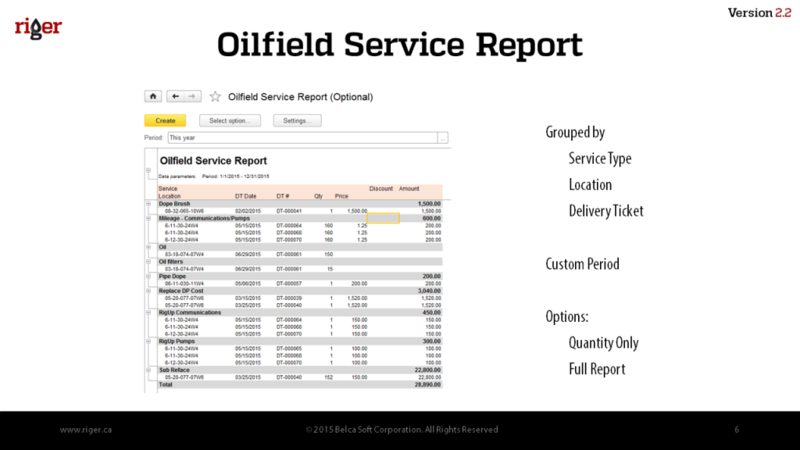 The Oilfield Service Report is a powerful tool to analyze services and overall performance. 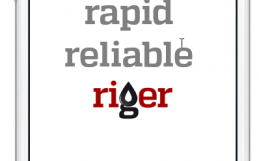 RigER is a Leading Oilfield Rental Software and we keep improve our product. Here some minor improvements. Microsoft Outlook Email integration now works easy and faster. 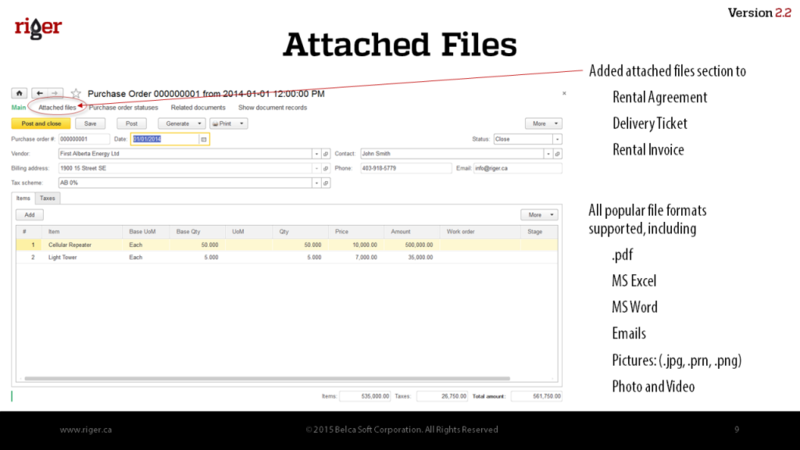 Now you can upload unlimited number of files to each document. It could be support scanned documents, drafts, emails, copies, photos, video, etc. All these documents will be secure stored in RigER database. 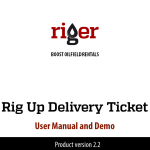 RigER Version 2.2 is our next step to boost oilfield rentals. 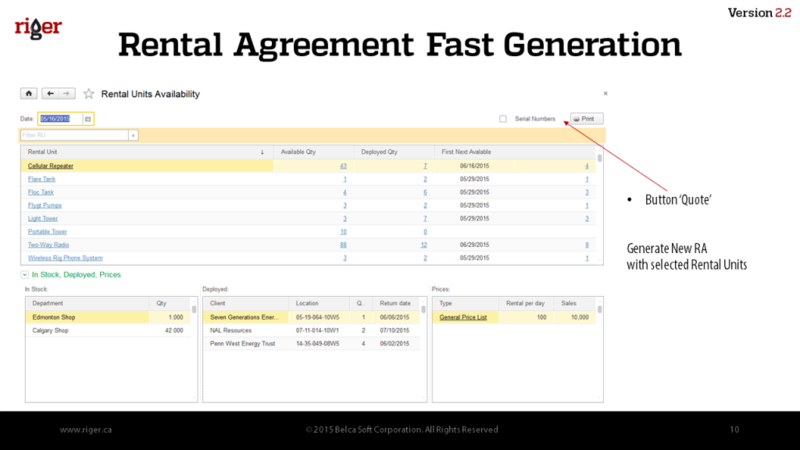 We designed fast rental quote generation from rental units availability dashboard. There are some minor improvements in version 2.2 as well. Enjoy! All our cusomers will receive free update to version 2.2 on June 15, 2015.